Sponsors of wine-pages, BidForWine auctions has a big sale coming up on December 2nd 2016. To get advice on wines (or fine spirits) you have to sell, or to list your wines for sale, contact them via bidforwine.co.uk and, if you mention that you are a visitor to wine-pages.com you will also enjoy a low commission rate of just 5% on anything you sell. With commission rates normally up to 15% it’s a worthwhile saving! Please do hurry though, as lots have to be consigned for the auction by the 4th of November 2016. 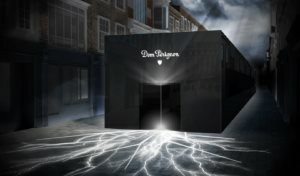 Dom Pérignon is offering London’s wine lovers what they describe as “an exceptional fifteen minute experience, encapsulating the unique history and alchemy behind the creation of Dom Pérignon.” Opening its doors on South Molton Street, ‘Transformation’ will “take guests on a multi-sensory journey to uncover the magic of Dom Pérignon through the exploration of sight, sound and taste, starting with a tasting of Dom Pérignon Vintage 2006.” Open for just four days from Thursday 20th to Sunday 23rd October, from 10:00am – 8:30pm, slots can be booked at uk.domperignon.com/transformation. Scroll further down that page for a timetable of Dom Pérignon lunches and dinners at nearby Claridge’s Hotel to coincide with the event. Drinks Business magazine reports that a major Amrican wine brand – ‘Red Truck’ – is switching to the Helix bottle stopper as its new bottle closure. Helix is a new concept, made from cork, but designed to screw into and unscrew from the neck of the bottle, theoretically offering the convenience of a screwcap with some of the traditional quality of cork. I was the first in the UK (and possibly the world) to comment on the new closure before its launch in 2013, in the video review below. Red Truck is still one of fairly few brands who have gone for Helix, the others including Tuscany’s Castellani and France’s Val d’Orbieu. 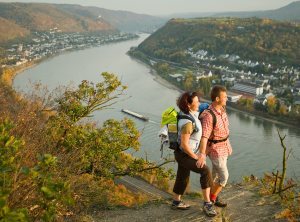 To mark the 200th anniversary of English artist William Turner’s trip down the Rhine Valley, that inspired a series of famous watercolour paintings, the tourism office has issued an updated guide to some of the region’s main visitor attractions, that can be visited along the same route and in the same timescale. That’s as well as visiting the plethora of famous wine estates that line the valleys of course.15 cultural highlights are united in a the journey along the Rhine and Mosel rivers, not just vineyards and castles but, for example the Vulkanpark (Volcano Park) in Plaidt, an adventure playground tracking 500,000 years of geological and human history in the volcanic Eastern Eifel region, or the Maria Laach Benedictine Abbey on a lake bearing the same name, with its six towers it is considered to be one of the most beautiful Roman buildings of the period. Indiana Jones? Well, scenes from the first movie were shot in one of the area’s attractions: Castle Brunwald. 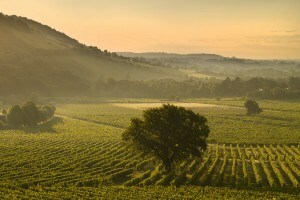 Denbies Wine Estate in Surrey is offering visitors the chance to participate in 2016’s exceptional harvest and take a peek behind the scenes at England’s largest single estate wine producer. Visitors will be given an introduction to grape picking on the 265-acre estate before a walking tour of the winery and onto a tasting of some of the estate’s flagship wines, with lunch and other refreshments provided throughout the day. Visitors also take home a Denbies Estate-grown vine as a memento of their day. The Denbies Vine & Dine Grape Picking Experience takes place on selected dates throughout October 2016 from Monday to Saturday. Tickets cost £55 per person (or £45 for Denbies Loyalty Club Members) and bookings can be made online at www.denbies.co.uk.